1. What is the concept of this year’s Tiki Restaurant Menu? The main specialty is fresh fish, and we are also trying to introduce the meat by weight and special meat cuts with grilling as a main cooking method. 2. How does it differ from last year’s menu? After the success and very positive response we had last year, we are focusing on continuing to enhance our menu. We want to improve, rather than change, our items. 3. Can you name your favorite dish from the current menu? Pork is my favourite type of meat, so I am very passionate about including it on my menus. The dish I am most proud of is the Pork & Scallops starter. Combining pork and seafood results in great and unexpected flavours. 4. Do you use any particular techniques? A Special culinary technique we use at the Tiki is called ‘sous vide’. It is a process in which the food is cooked under pressure for an extended period of time. The ingredients are vacuum sealed and are immersed in a water bath and cooked at a very precise, consistent temperature. This helps to retain the nutrients and colour. It also helps us with planning, preparation and speed whilst serving delicious and fresh food. This Summer enjoy outdoor dining by the water’s edge. If you would like to book a table at the Tiki Restaurant kindly contact our Food & Beverage Team on food.beverage@excelsior.com.mt or on 21250520. The Tiki Restaurant is open for Lunch from 12:00hrs till 17:00hrs and Dinner from 19:00hrs till 23:00hrs. This entry was posted in Dining in Malta, Excelsior Hotel Malta, Holidays in Malta, Malta Restaurants, Outdoor Dining Malta and tagged beach, excelsior malta, grand hotel excelsior malta, malta summer, outdoor dining, restaurants, summer on June 22, 2017 by Denise Camilleri. 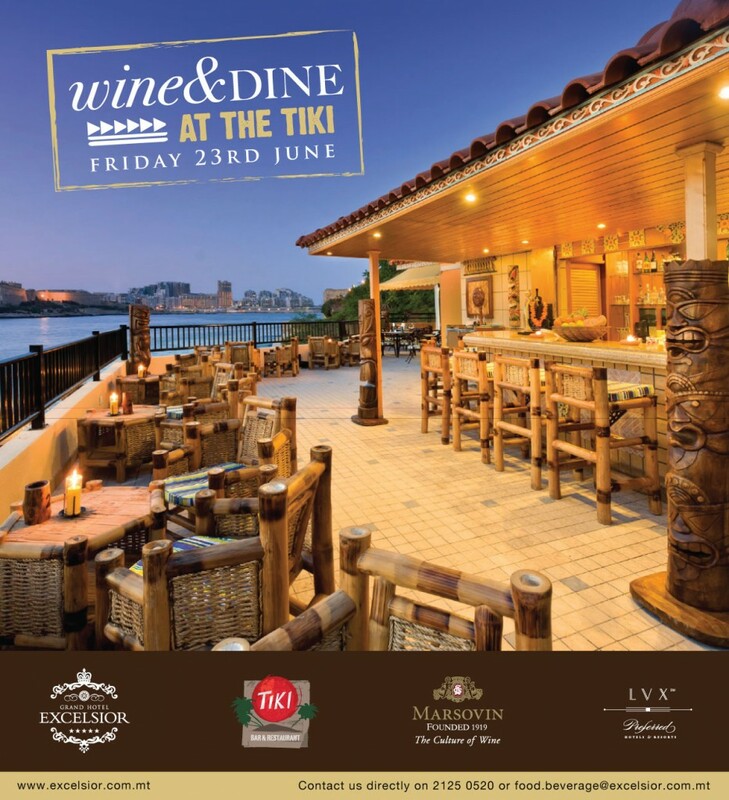 On Friday 23rd June 2017 join us for our exclusive Wine & Dine Event at the Tiki Restaurant, Grand Hotel Excelsior, to usher in the summer season in style. 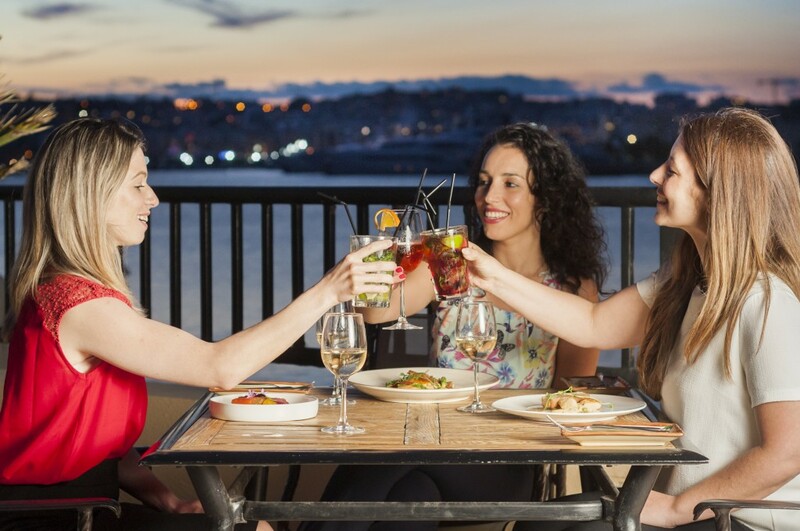 This will be a true dining experience for foodies and wine lovers right at the water’s edge with unobstructed views of the Marsamxett Harbour. Indulge your taste buds with the rich flavours of Mediterranean cuisine paired with refreshing local wines by Marsovin. The price is €55 per person. To reserve your place please contact the Food & Beverage Department at the Excelsior Hotel Malta on food.beverage@excelsior.com.mt or on 21250520. This entry was posted in About Malta, Malta and tagged dining, excelsior malta, grand hotel excelsior, outdoor dining malta, restaurants, summer on June 13, 2017 by Denise Camilleri.